Earlier this month, I was able to experience one of the well-kept secrets of Zambales... Nagsasa Cove! Just about 4 hours away from Manila, Nagsasa Cove is fast becoming a favorite destination for outdoor enthusiasts. An idyllic haven born out of the Mt. Pinatubo eruption in the early 1990's. When volcanic materials landed here, it formed this one of a kind cove. Just 20 minutes further down from the more popular Anawangin Cove, a secluded beach front view provides a perfect spot for beach bums and campers like me! It offers a wide beach of fine grayish sand with pine trees standing tall in the beach area, a panoramic background of sprawling hills and mountains, a lake that reflects the amazing landscape and a small waterfall in the mountain side just a few meters from the beach. The beauty of this unspoiled paradise is that it doesn't get too crowded most of the time. You’ll see no one but your group and a few campers. Allowing you to relax, enjoy and appreciate its ecological bounty. I love its untouched and unexploited natural settings. Its soothing tranquility and grandeur is a perfect place for me to spend a weekend to relax, unwind and commune with myself and with nature. It's a haven for someone like me who loves the great outdoors. A wonderful escape from urban life - to enjoy exquisite and pristine silence of nature away from the metropolis. 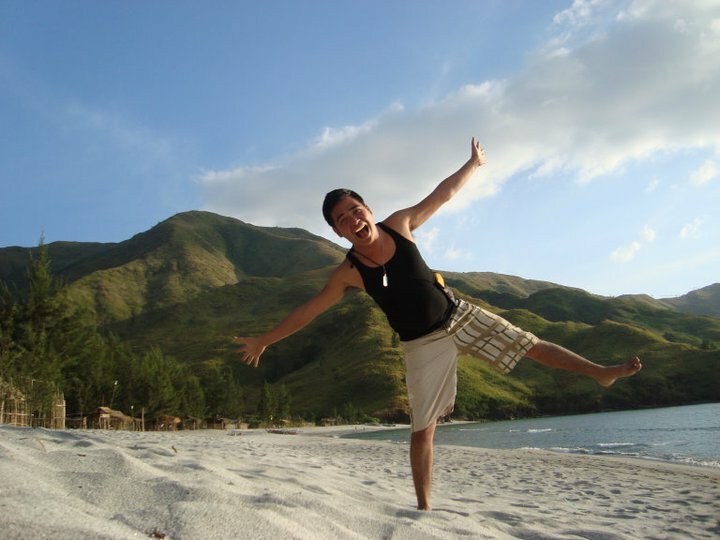 Without a doubt, Nagsasa Cove is a paradise beyond your expectations, a truly soothing escape from sun up to sun down. I'm hoping that after reading this post, you'll have the same enthusiasm that I had - to travel more, to explore and (re)discover uniqueness of places, varied delicacies, diversity of people and the abundance of culture of the Philippines and beyond. We only have one lifetime to spend, let's not waste it. Enjoy the gifts we have! Come on! Let's travel and discover new places, conquer greater heights and gain new experiences. They are just waiting for us! yesss!I agree with you.Nagsasa cove is a paradise beyond our expectations.napakagandang place.Sana,wag abusuhin ang place bagkus alagaan pa ng husto. i miss nagsasa! it's really one of the best places to go to in Luzon! Nice! madalas ko marinig sa mga kaopismates ko tong Nagsasa Cove.. maganda nga daw jan.. Anawangin palang napupuntahan ko.. sana makapunta din me jan..
actually there are 4 coves the most famous one is the annawangen.